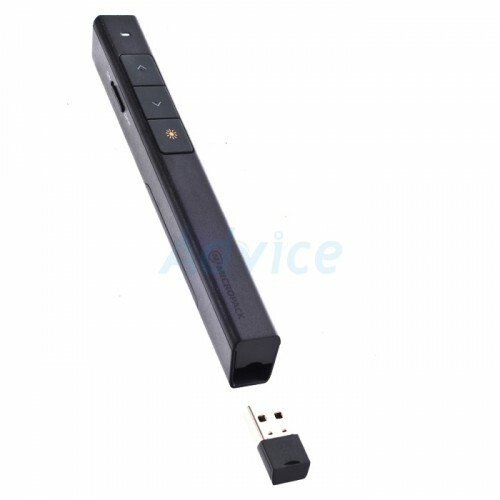 The Wireless Presenter with Laser Pointer is a sophisticated device with advanced features to help deliver professional presentations. 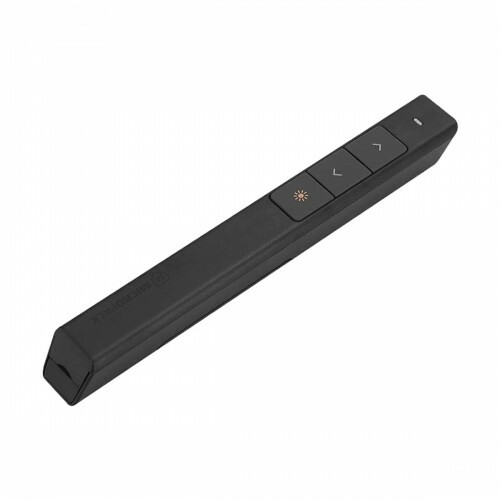 It features long range wireless technology, storable USB receiver for convenience and portability, mouse feature, complete slideshow control and laser pointer to highlight key-points. 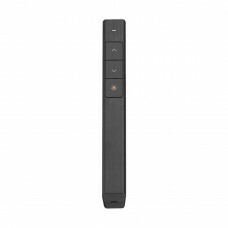 The features that are included here are 2.4 GHz technology for reliable wireless freedom and remote control up to 100M away, Storable ultra-slim wireless receive Integrated ultra–bright red laser pointer to highlight and the presentation’s key points Omni-direction wireless technology.